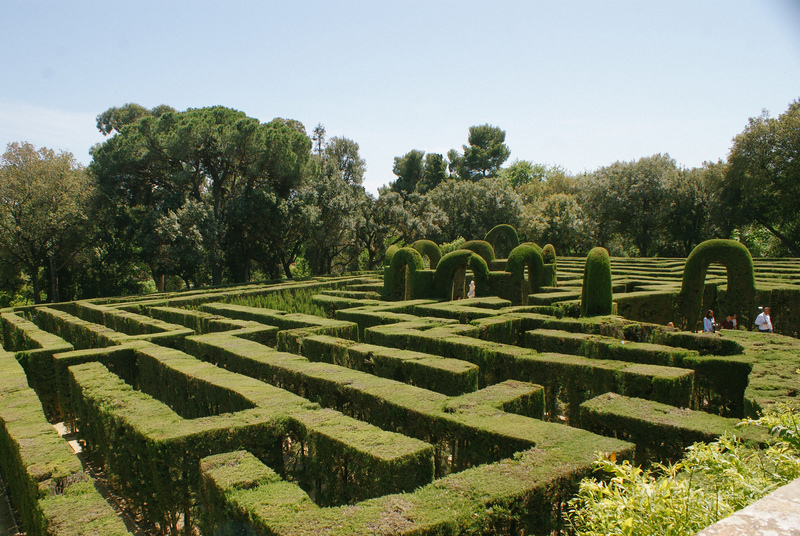 Parc del Laberint d’Horta, also coined the “Labyrinth Park of Horta” is Barcelona’s oldest conserved garden, best known for its beautifully groomed labyrinth and Neoclassical and Romantic architecture. Here’s a bit of history and detailed overview of the park to prep you for your visit. 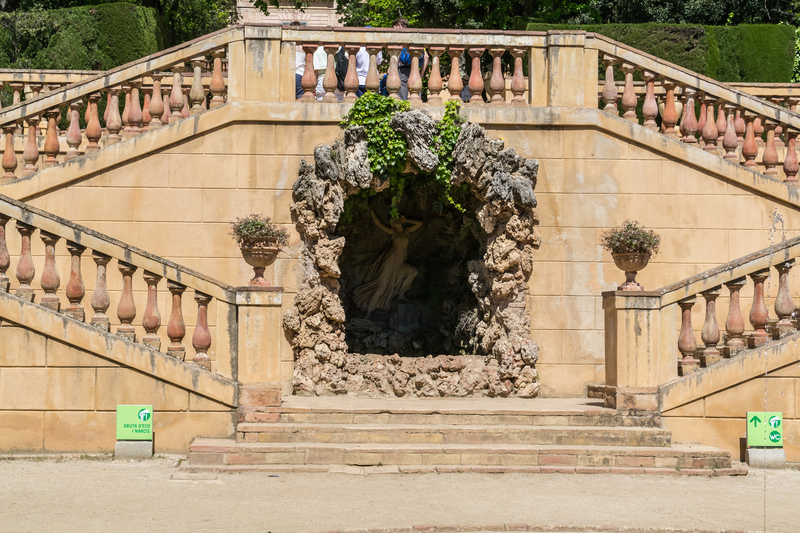 Joan Antoni Desvalls i d’Ardena, the owner of the garden’s original plot of land, began construction in 1791. He collaborated with master builders Jaume and Andreu Valls and French gardener Joseph Delvalet to carry out the architecture, hedges, and statues. The park was later expanded by Elies Rogent in the mid-19th century, revamped with the romantic garden and a canal to connect the terraces. At the end of the 19th century additional space was allotted alongside the nearby Desvalls Palace to host live performances and other cultural events. The park was later opened to the public in 1971 after being handed over by the descendants of Joan Antoni Desvalls i d’Ardena. The Neoclassical Gardens are composed of three beautifully groomed terraces. The lower terrace is home to the maze, which gives the park its name, and lined in 750 metres of cypress trees. This is our favorite part of the garden. As you navigate your way through, you’ll pass impressively carved hedges that lead to a peaceful fountain. The intermediate terrace is located above the maze and filled with Tuscan columns, multiple marble statues, and replicas of Roman temples. A grand staircase ascends to the third and final level, with a pavilion dedicated to the nine muses—Calliope, Clio, Erato, Euterpe, Thalia, Melpomene, Polyhymnia, Terpsichore, and Urania. Various sculptures depicting art and nature can also be found. A relic of a Chinese gate and small boxwood hedges lead to the Romantic Garden, which takes up the entire left side of the park. While most of its original design has fallen to ruin, you can still find diverse plots of flowerbeds and botanical squares sheltered in the shadows of vast trees. 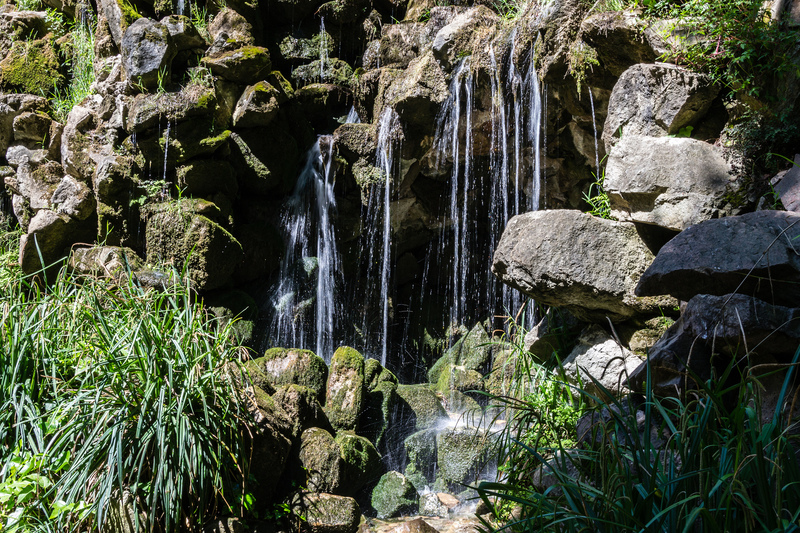 There’s also a tranquil waterfall at end of the surrounding canal, which resides in the garden’s northernmost border. Click here for park hours and more information.